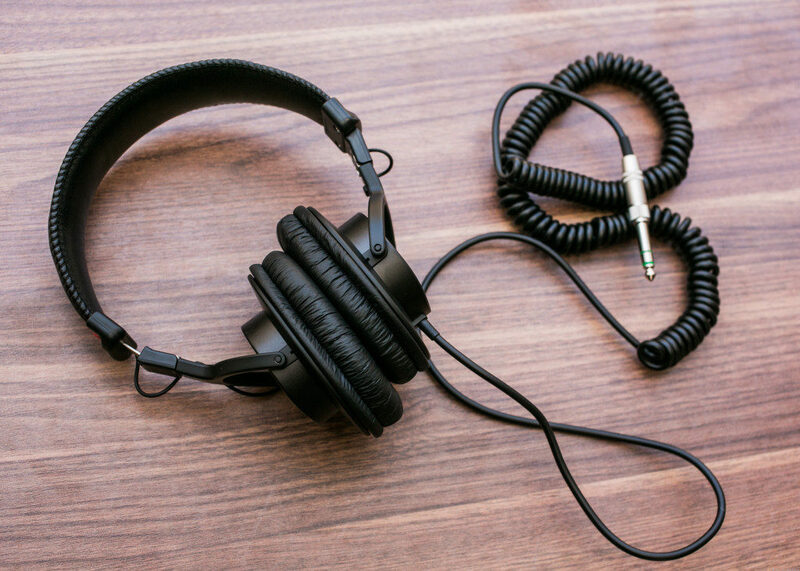 Bluetooth headphones and earbuds have rapidly become the fastest growing segment of the consumer audio world. 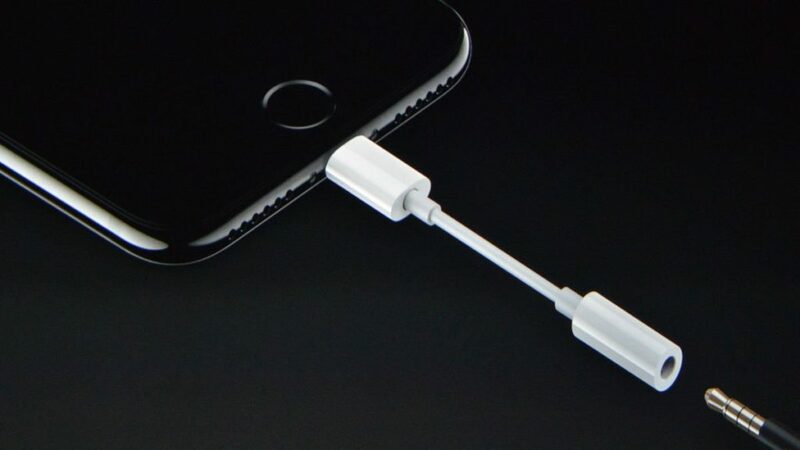 When Apple decided to remove the 3.5mm audio jack from their phones, everyone assumed it was primarily a move to sell more headphones. After all, pretty much everybody has a pair of cabled headphones or earbuds by now. So how do you sell new headphones, when everybody already has a pair of perfectly working headphones? Make the old ones not work anymore. Apple purchased Beats By Dre a few years ago, and now it was creating a reason for the world to go out and buy a new pair of Beats headphones. That, or rely on adapters that enabled traditional headphones to plug into the iPhone’s lighting jack. If you’ve had the same experience as us, you’ll know that these tiny ﻿﻿Lightning to 3.5mm adapters are easy to lose, and you can never find it when you badly need one (read: on an airplane next to a crying child). So for the most part, most users of the iPhone 7 and newer phones have moved to wireless headphones, and that transition to bluetooth headphones has been pretty uneventful. But what none of us expected is for these new bluetooth wireless headphones to change the way many of us go about our day at work, at home, on commutes, and at the gym. We’ve researched and even purchased several pairs of new and innovative bluetooth earphones - including Bragi The Dash, Aukey Latitude EP-B40, BeatsX, and Apple AirPods- and there’s certainly plenty of excitement and disapointment to discuss with these first generation headphones. But in the process of using them for a few months, we started to imagine how wireless headphones like the Bragi Dash Pro - with pass through environmental sound - could impact video and TV production in the near future. Is there even a place for wireless headphones in the professional filmmaking universe? After the Apple AirPods were announced, along with the move away from headphone jacks on the iPhone, the search was on for the best alternative to the AirPods. It’s not that the AirPods weren’t solid, it’s just that people wanted to see in-ears that were a better fit for exercise, and with better noise isolation than Apple’s ear buds. And maybe something that didn't look like oversized earrings. And something that wasn't expensive af. 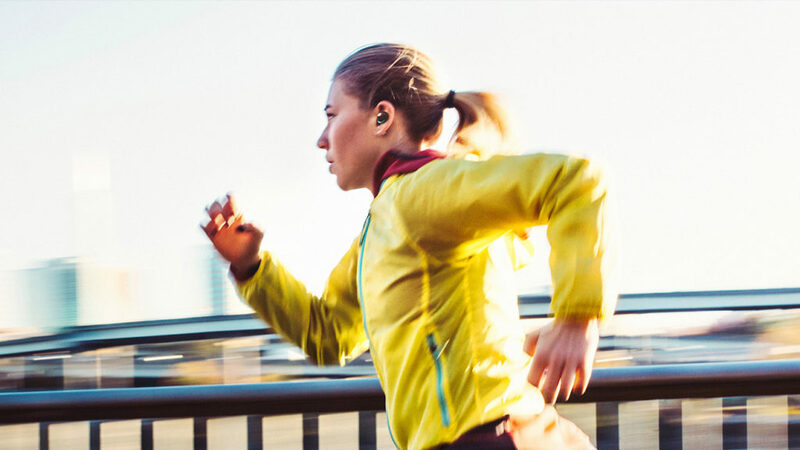 The Bragi Dash promised to be so much more. It’s essentially a micro computer inside your ears. Yes, it also plays music from your phone, and can take calls when they come in, just like the AirPods. 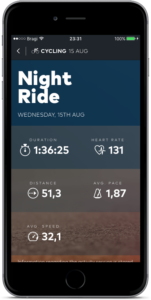 But it also has GPS and body trackers built-in, so a runner can track distance, speed, heart rate, and other performance data. In addition, there is a music player built in, and you can load up to 4gb of mp3s onto it, with several playlists. What that means is for many people looking for a decent pair of headphones to run or work out with, the Bragi Dash is enough that you can leave your phone, mp3 player, and fitness tracker at home. The developers didn’t stop there. 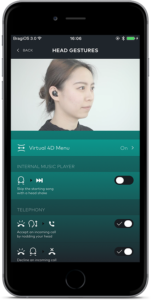 They also envisioned the Bragi having built-in language translation, so that people speaking to you in a foreign language will translate automatically in your ears. 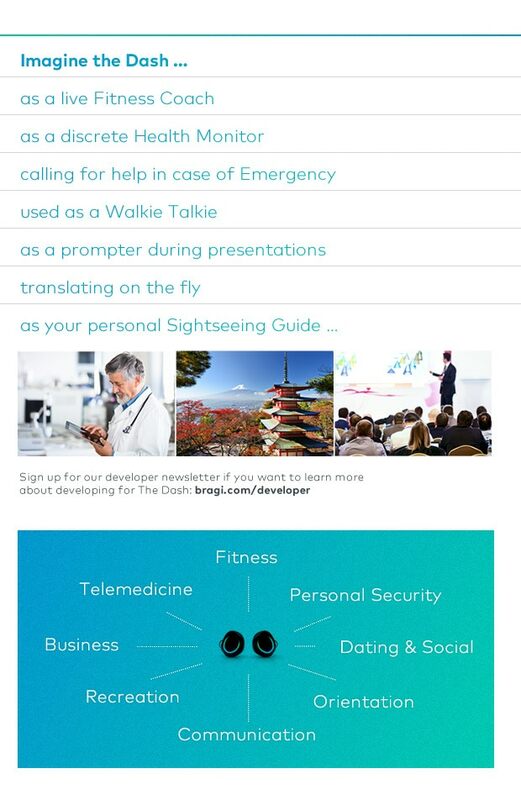 They also planned for sightseeing guides, fitness coaching, emergency calling, walkie talkie functions, presentation prompters, and so on. Isn't all of that starting to get a little nutty for a pair of headphones? The reality is, the Dash tried to pack way too much into a pair of headphones, and in the process it couldn’t nail the basics, like reliable bluetooth pairing. 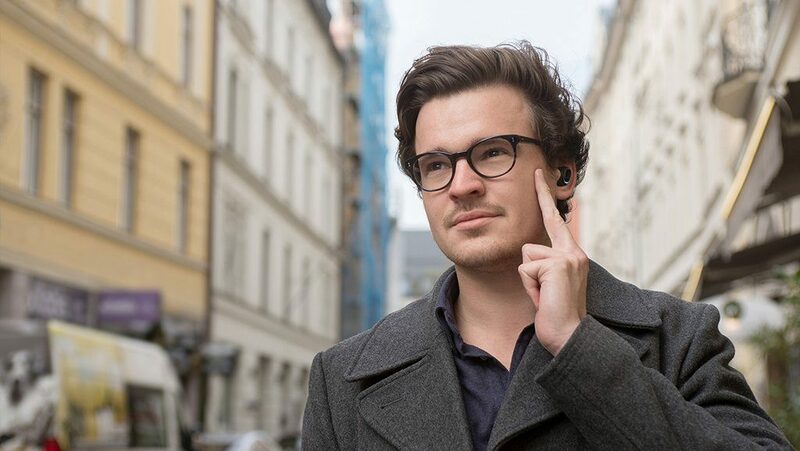 The incredibly successful Kickstarter campaign for the original Dash is a really good example of a slick campaign that promised the most amazing piece of technology, mixed with nearly 20,000 comments when Bragi couldn't deliver on their promises. Fast forward a few years later, and everyone who Kickstarted the original Dash finally received theirs, even if it was way after their expected release date. Then almost immediately, Bragi followed up with a much improved Pro version. The media and tech writers have all had their say on the matter. So today, there are probably 100 bad reviews to 1 good review of the Bragi Dash. And yet, we ended up getting a pair anyway, because sometimes first generation products are exciting to use, even when you know they have a long way to go before the kinks are completely ironed out. There are some people out there who appreciate retail packaging and design, as maybe an indication of a company’s overall approach to their products. Well, that may be true for huge corporations, but in the world of upstarts and kickstarted projects, we find that beautiful packaging often overcompensates for hurried product design. In fact, when you know an upstart company has limited time and resources, it’s a little uneasy seeing so much focus on the shipping packaging of a new product, instead of the product itself. 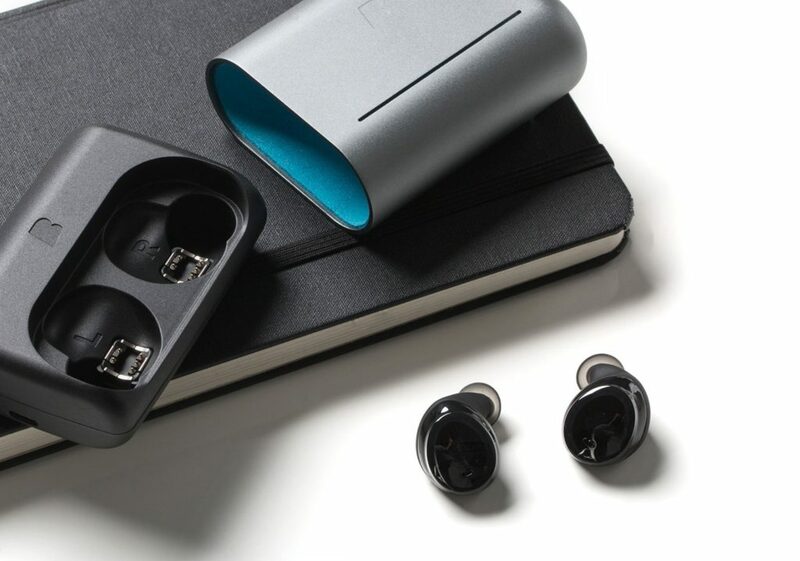 The Bragi Dash comes in a beautiful package, absolutely superb. The design is much like a large, hard cover folio, engulfing the little headphones. Perhaps that was the first sign of trouble. We’ll say it again, for upstart companies and first generation products, beautiful packaging design is a temporary distraction from fine tuning the product itself. And sometimes when the product isn’t that great to begin with, packaging design could be a cheap and easy way to compensate for a stilted product. 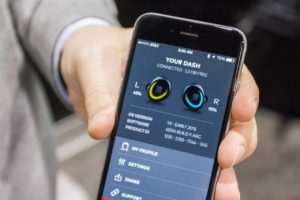 The first time that users of the Bragi Dash run into its bank of problems is when they initially connect it to a computer and initiate a firmware update. Because, since these headphones are little computers, you need to treat it like a computer, which means software updates. And with that, software bugs. There are many reports from other users about the frustrating firmware update process, but to summarize, it doesn’t work as planned. There is an app that you download to your computer, and it’s supposed to just do everything on its own. But since that method doesn’t work, you have to go through a “manual” update process, where you download some firmware files and plug/unplug each earphone until you see specific colors do a specific kind of color dance, and the eventually you *should* be fine. Unless something goes awry, or you accidentally unplug an earphone, or your computer freezes up. That’s the problem with firmware updates on any piece of tech: it’s perfectly fine until an unexpected issue interrupts the firmware update. Then you might brick your new toy. Luckily for us, the update went ok, even if took a few days to figure out by reading support forums, instructions, and so on. But a few months later, one of our earphones was starting to go out - it would turn on and off for no reason. We opened a support ticket, and we were instructed to complete a manual reset of the Dash software. That whole process was very similar to the manual firmware method, in that there were weird files to download, a meticulous process of mounting and unmounting the individual earphones, and then watching for specific color combinations to know whether it went through. Needless to say, a first generation technology will always have issues, and the availibility of support is essential. But the user experience on these little magical headphones needs to get a whole lot easier when it’s frustrating for even tech nerds like ourselves. After the Dash is updated to its newest firmware, the next step is to download the smartphone app, pair the Dash, and then setup the various functions, including fitness tracking, head gesture detection, volume settings, and so on. It’s tempting to turn everything on when you get a new piece of gear, to try all the nifty features out. We will say that with the Dash, once you realize the frustration of something not working for the 100th time, you end up turning that feature off completely. How many times can you shake your head in public, trying to get the 4d motion sensor to detect that you want to skip to the next song… before you just give up on that? Perhaps the best feature with this little computer in your ear is the built in mp3 player. Not needing to bring along another source of music - with its own tech headaches - is very freeing. We’ve used the mp3 player function a lot now, and by itself it’s a great reason to get the Bragi Dash or the Bragi Dash Pro, even if you don’t use any of the other fancy features. For a trip to the gym, or a simple walk around the block, it’s so easy to just put on the earphones, start music, and go. There are downsides of course, and the first being it takes quite a while to upload mp3s to the Dash. The connection is USB 2.0, for some reason, so to upload 4gb of music would take forever. Uploading 1 album with 12 songs takes a few minutes. Second, there are multiple playlists, which seems like a good thing but in reality is not. When dragging mp3s into the Music folder on the Dash, you can place the mp3s into the main folder, or into one of the 4 Playlist folders. Seems easy enough so far. But what happens when you try to move between playlists is nail biting, teeth grinding frustration to the max. 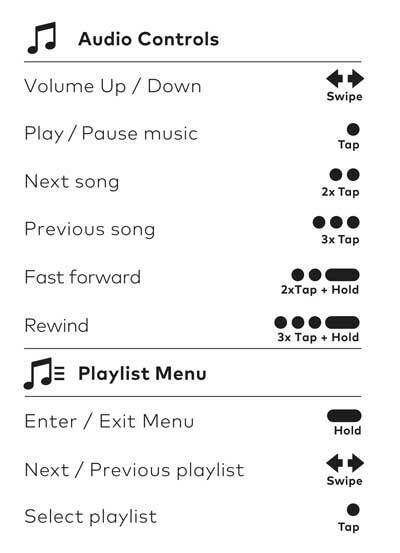 No matter how many ways you tap or hold with your finger, following all the instructions, it’s really difficult to move in and out of playlists. The way that you use the Bragi Dash in general is by tapping, holding, or swiping on the left or right earphone. The problem is, the area where you touch it is small, so you have to be kind of precise. That means when you want to tap, it takes 4 or 5 times to find the right area to tap. And when you want to tap and hold, well, good luck. Worse yet is when you don’t want to tap, like if you casually brush your hand against your hair, or adjust your hat, or push the Dash earphone in if it feels like it’s falling out, and the Dash interprets your random movement as some sort of instruction, that’s when it gets frustrating. Finally, the most mysterious part of the built in mp3 player is how it chooses the order of songs. You’d think it would be alphabetical or numerical. But it isn’t. After lots of research and trial and error, we learned that it plays based on the order the songs were copied to the Dash - thanks to this Reddit post. So the best way to utilize the mp3 feature on the Bragi Dash or Bragi Dash Pro is to simplify and don’t expect too much. Just upload songs to the main folder, play them, and enjoy your music rather than hoping for an advanced playlist experience. A big reason why a lot of consumers are interested in wearable tech is to track their health. Whether it’s during workouts, or simply tracking steps, heart rate, and overall well being throughout the day, it’s certainly an interesting piece of today's modern tech life. The Bragi Dash has built in fitness and health tracking, and it can even recognize when you begin a workout, like a run, bike, or swim session. Then it can track the distance, speed, and other components of your workout. And every few minutes it tells you your average heart rate, which is pretty cool. After your workout is complete, or when the Dash recognizes that you’ve stopped or paused, you can have it send the health info directly to other native health tracking apps, such as Apple’s Health app. While all that’s pretty cool, we found the fitness tracking component to become frustrating if you start to depend on it, and it doesn’t work. Like when you’ve started a workout and it doesn’t recognize that you're running, even several minutes in. Or when you’re just going about your business and it thinks you’re going on a swim. But for the most part, it’s quite nice to have this feature built in to smart headphones, and we believe this component will only get better with future generations of bluetooth wireless headphones. Goodbye FitBit? Probably the best part of the fitness tracking so far is that the data can interface with other dedicated fitness apps, which will always be better ​than the stock app that comes with a pair of headphones. Probably the number one reason why a pair of in-ear headphones like the Bragi Dash are preferable to loose fitting Apple Airpods is because of the tight fit. The quality of the audio in the Bragi Dash is, to say the least, not great. It’s much improved in the Bragi Dash Pro, so if you’re in it for the sound quality, it’s worth it to upgrade to the more expensive Dash Pro. But any audio can sound better to your ears if there’s greater isolation from external noise. And that’s what the Bragi Dash does - both the original and the Dash Pro. It also features 3 different sizes of skins, so that you can find the best fit for each of your ears (and each ear often requires different sizes of earbud tips). If you want to upgrade to an even better fit, these Com﻿ply memory foam tips are highly reviewed by many Bragi Dash owners. We swear by Comply tips for our other wireless earbuds. And if you want to take it even further, you can order a pair of custom fitted Bragi Dash Pro from Starkey Labs. Starkey makes hearing aids, and they’ve partnered with Bragi to make the Dash Pro better than the original Dash. 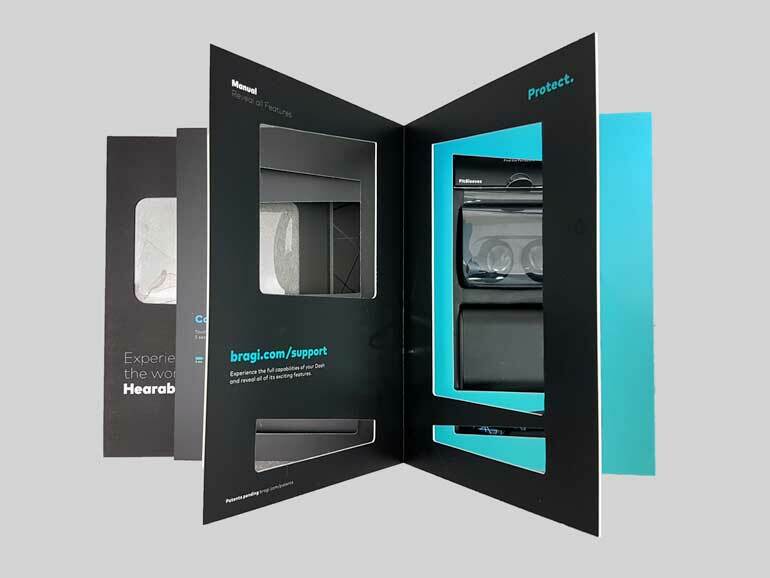 You would have to visit an audiologist to form an impression of your ears, which would then be sent to Starkey to create a custom mold around the Bragi Dash Pro. What you’d end up with is a pair of earphones with such great sound isolation that the audio quality, comfort of the fit, and overall impression of the headphones would be much higher than with a standard fitting earphone. But of course, it’s much pricier. And you can’t sell a custom fitted headphone. Or let your friends or colleagues use them. Finally we come to the feature in the Bragi Dash that was the whole inspiration for this article, and how it relates to video production (yes, that part is still coming, we promise). The Audio Transparency feature. But first, let’s go back a few years. When the Apple iPods first started to come out, their 2nd and 3rd generation inspired a lot of people to start listening to music during their commute, or on walks, runs, etc. Before that, not a lot of people would casually bring their Walkman to work. The problem with the iPod was that the famous white earbuds were never that great. Especially on noisy commuter trains, or on a typical street. You had to crank the audio to 100% to really hear the music. And so consumer and professional headphones started to merge into a very interesting prosumer market. Casual listeners now wanted to upgrade their headphones to something better. And they were willing to spend a decent amount of money, considering they’re now accusomted to listening to music for a large chunk of their day. Thanks to the rise of mp3s, and the iPod, and so on. At this point, the custom-fitted in-ear monitor, or in-ears for short, enjoyed a surge of interest. In-ears are primarily used by musicians during live performances. If you’ve ever seen a concert or concert video, you’ll know what we’re talking about. They can be flesh colored so they’re not as noticable, but musicians use them so they can hear precisely their vocals and instruments, while blocking out the super loud noise on stage. 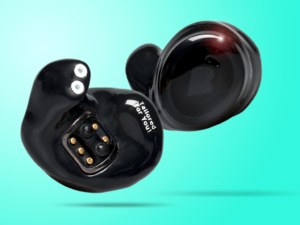 That’s the beauty of in-ears that block out 99% of the external sound, with custom fitted molds. In even the loudest environment, they basically cut out all sounds to your ear, and then you pipe in only what you want to hear. So naturally consumers wanted a taste of this kind of listening experience. And we got a pair ourselves (or at least one of we Digital Filmmakers did, not saying who). We ended up with a pair of Ultimate Ears UE-10, which retailed for $1000. 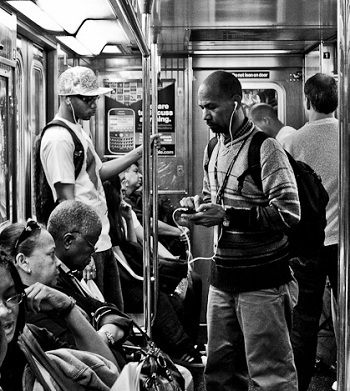 For a few years, they were the most amazing godsend for commutes to school, work, or even listening at home. The sound drivers were absurdly good, and the custom fit was remarkable. The problem was they were so good at blocking out outside noise, that they became a safety hazard. Cars, bikes, and people would constantly be a surprise when you don’t hear them. Announcements on intercoms weren’t heard. And overall, the feeling of floating through space and not being part of the world around you was . . . well, quite nice at first, but it became a little difficult to deal with, especially for casual listening at home, or school, work, library, etc. In the end, what killed the UE-10s was actually all the ear mold building up inside the little hole at the terminal of the earphones. Over time, the mold destroyed the silicone, and also smelled quite nasty. Repairing them would have cost several hundred dollars, which was roughly the price of a pair of new in-ears, so they went into the trash. And then came a real job, wife, kids, and intense isolated music listening became even less of a priority, let alone an option, during a given day. 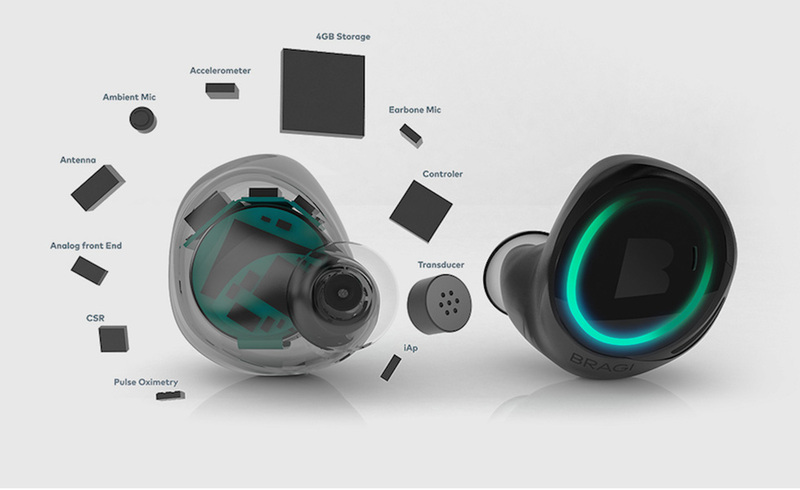 So when the Bragi Dash came on the market, what first sparked our interest is that it wasn’t just another in-ear. The bluetooth option - plus the built in mp3 player - made this seem like a different kind of investment rather than buying into a standard in-ear monitor. Let’s be honest, once you have an iPhone 7 or a smartphone without a headphone jack, you don’t look at cabled headphones anymore. It’s like buying an HD camera when you know a 4k industry standard is on the horizon. Another piece that made the Dash more compelling than a typical in-ear is the fact there’s no hole for ear wax to build up inside. There’s a little mesh screen at the terminal of the earphone. Wax still gets all over the silicone covers and on the earphone itself, but it’s easy to clean. Ear wax is a nasty biproduct of using earphones, no matter which one you have. You just have to get used to seeing, smelling, and cleaning ear wax everytime you put on or take off your earphones. But the one thing that sold us on the Bragi Dash was the Audio Transparency. 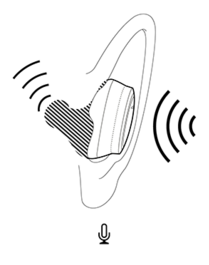 This is the feature that makes the future of in-ear wireless headphones so compelling. Essentially, the Bragi Dash has a microphone built in, primarily so you can take phone calls without removing the headphones. But what the Transparency Mode does is mic the sounds around you, turns them nto a digital signal, and pipes them back into your ears. So assuming you’re cutting out 99% of the outside noise when you have in-ears on. Now you can pipe the noise back in, at whatever volume you choose. Now you can hear the bus behind you, or someone ringing their bike bell, or a friend calling out your name. You can hear beautiful, immersive music, or have a clear phone conversation with someone while walking around in the middle of Manhattan. But you don’t lose out on being a part of the world around you while wearing those in-ears. So what does any of this have to do with video production? We’ve all heard the cliche, audio is half of video production. And yet, the audio piece of filmmaking hasn’t seen that much innovation in the past few years. We wrote about the microphone component of this industry lag, in our review of the Mikme, possibly the best wireless microphone today. But the audio monitoring component has had even less innovation or change. We’re still using standard headphones for monitoring both B-roll and interview audio, and often time it’s a pain. If you’ve ever used the industry standard Sony MDR 7506 headphones, you’ll know that the most frustrating part is the super long coiled cable. It’s absurdly long, and stretches out during its lifespan. There are some ways to shorten this cable (see this post), but we’re still constantly battling it during production. For interview audio monitoring, it’s not as big a deal, because we’re mostly standing in one place. But when we’re running around shooting B-roll, the headphone cable is impossible to deal with. So wearing headphones while running around is simply a reality on any TV shoot. 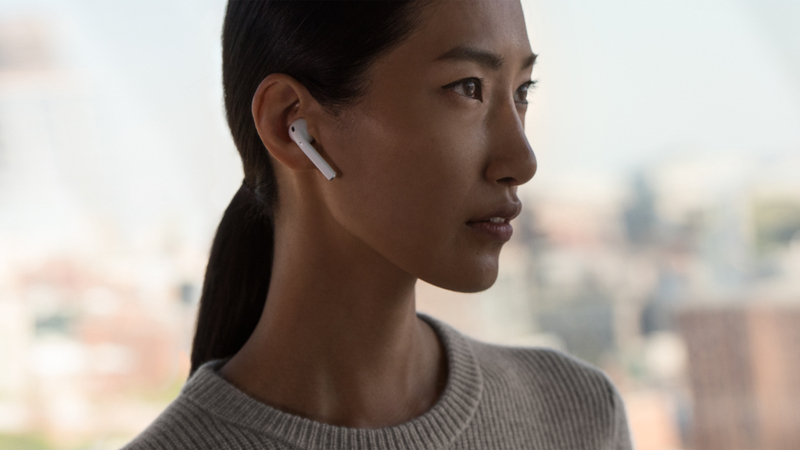 And to avoid the bulk of standard headphones, many TV and video shooters have resorted to using non-professional earbuds, like Apple’s Earpods, for monitoring B-roll audio. Simply because they’re small, they have a short cable, and they won’t drag the camera down if you take them off or they fall off during use. But if you’re serious about monitoring B-roll audio, you can’t hear a damn thing with earbuds. All you know is that you’re getting some audio, but can you hear hissing, or microphone rubbing, or competing sounds? No, not at all. Ok, if you're as good as award winning cinematographer Matt Porwoll (pictured above)​, then you can wear whatever earphones you damn well please. But for the rest of us, we need something more powerful to accurately monitor our audio. 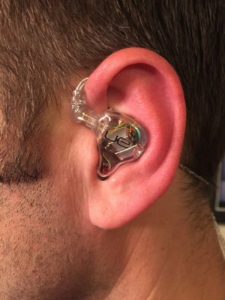 Custom or form fitting in-ears make a lot of sense for blocking out outside sounds, so your ears can hear only what’s being piped into your earphones. The problem is, as we mentioned in the previous section, isolating your ears from the outside world is not only a strange feeling, but it’s also dangerous. More importantly, in the professional video production world, you cannot isolate yourself from the outside world because you are constantly interacting with your subjects, colleagues, and the public around you. You are constantly bouncing between communicating to people, and then intensely watching and listening to your shot, while also concentrating on operating your camera and gear and everything else that goes into filmmaking. 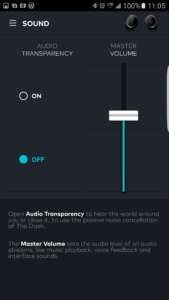 So that’s where the Audio Transparency feature on the Bragi Dash comes in. You’ll be able to enjoy sound isolation, while also being able to hear the world around you, without having to take your earphones off. We believe Audio Transparency is going to be a huge piece of the next generation of bluetooth wireless headphones. It’s what’s going to make wearing headphones a lot more comfortable for people who interact with the world during the day. Headphones aren’t going to be just for listening to music when you want to turn off the world around you. Apple has already hinted at featuring a similar feature in their next AirPod. It may not be called the same thing, but it’ll be something very similar. 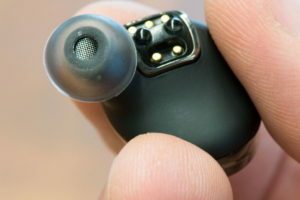 The microphone built into the ear buds will pipe in the outside world into your ears. Maybe Apple will make this feature so good that we won’t be able to imagine headphones without them. In the meantime, the only thing stopping video producers or filmmakers from using wireless headphones right now is simply the execution of this new tech. Bluetooth pairing is still very frustrating when it doesn’t work, and the connection can be spotty depending on what headphone you’re using. 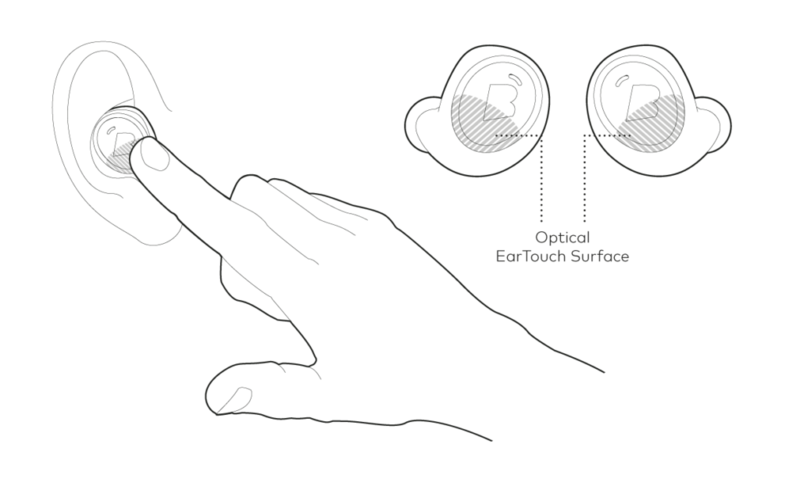 On the Bragi Dash, for example, the bluetooth connection drops when you move your phone from the right side of your body to the left. Sigh. It’s a lot better on the Bragi Dash Pro, but still, bluetooth technology can be spotty. 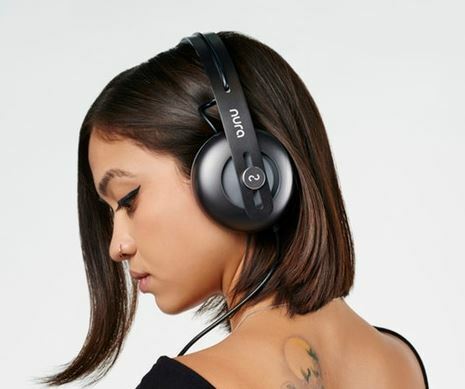 Apple of course has advanced bluetooth technology with their own headphones and their iOS standards, but third party headphones aren’t always using the most up to date bluetooth standards. The quality of the chip inside the earphone is what’s going to make the next generation wireless headphone truly remarkable. You may have already seen this article pushed in your Facebook feed, about Qualcomm’s biometric headsets. And of course, for wireless headphones to work in the videography world, cameras need to be able to transmit audio over bluetooth to the headphones. Right now, we don’t know of any camera that can do that. 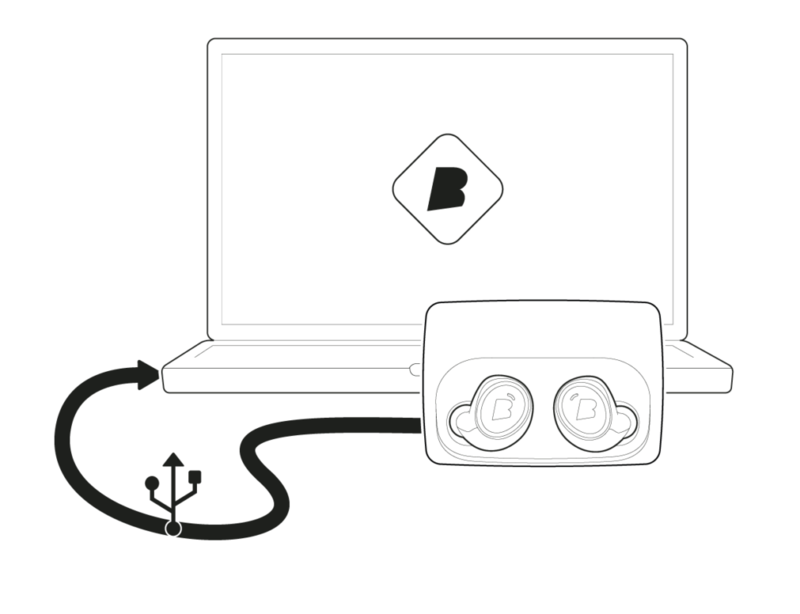 Of course, you can get a battery-powered bluetooth transmitter like this, and plug it into your camera’s headphone out, and start using wireless headphones like the Bragi Dash today. Will it work? Probably. But the slight delay from seeing your subject speak and hearing their audio in your ears might make it a frustrating experience. 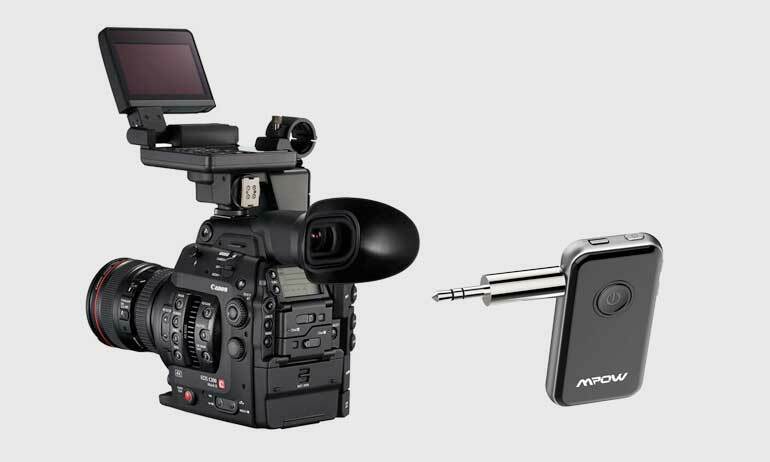 In the future, however, we can imagine all cameras featuring internal bluetooth audio transmission, just like they all pretty much have HDMI video and audio feeds today, which was unheard of a few years ago. Better yet, it would be great if we could start seeing multiple audio transmission options, just like we can monitor our video signals on multiple monitors, some wired, some wireless. What if the camera operator and the director/producer each wore a pair of in-ears, listening to the subject even if he or she is a hundred feet away. 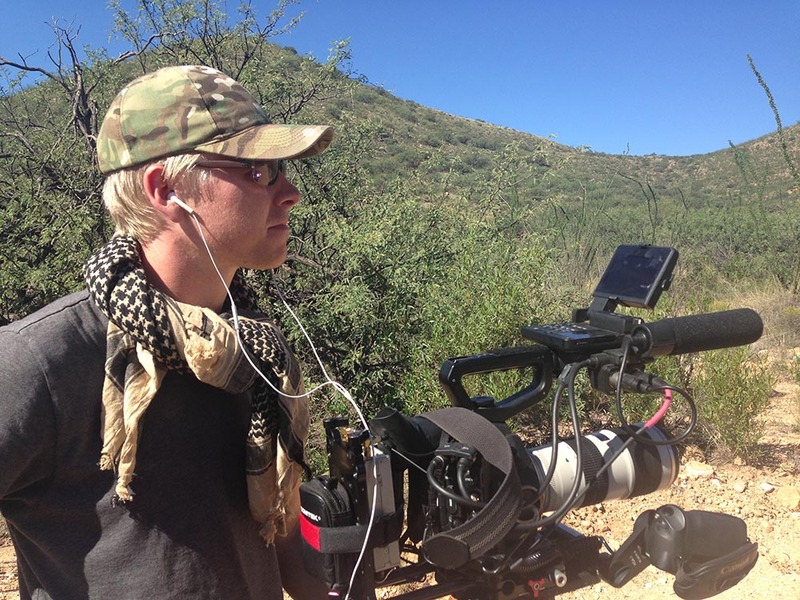 Wireless microphones like lavalieres are already a standard part of any run and gun TV production. Subjects just keep them on throughout the shoot day. So it’s only a matter of time when we see production crew wearing wireless headphones, listening to a variety of subjects, being able to decide where to go and what to shoot, without having to have a camera right next to the subject at all times. For all that to happen, the transparency mode of these headphones needs to get better too. Right now, the technology is so new that the sound levels can be hugely varied and very unreal. Dropping your keys on the ground can sound like a glass shattering in your ear, whereas a bus driving by can trigger auto gain to decrease and make it seem much farther away. But the point is, we’ll get there. And very soon, if not in the next year or two, we’re going to wonder how we managed with cabled headphones on so many video productions for so long. In the meantime, we’re enjoying watching this new market emerge, as headphones are becoming exciting again. And we’re tempted to try some of them out, even if we can’t see using them on a video production set just yet. Like the Nura - can this custom learning headphone really make music sound 100x better than your average headphone? There are a lot of bluetooth headphones and earbuds out there that are a heckuvalot better than the Bragi Dash, in terms of usability and reliability. But so far none of them have the distinct audio transparency feature that will be important for video production. But in case you're wondering, we've tried a number of wireless headphones out, for both music, phone calls, and even editing on a desktop computer. The Apple AirPods are amazing for their ease of use and reliability, and their sound is actually pretty good. We put some white foam covers on ours, using this popular hack to create holes in the foam tips where the AirPods sensors are. This makes them feel a whole lot less like they're about to fall out all the time. But while we like AirPods for use indoors and on short walks, we wouldn't dare bring them on a grueling production where there's a lot of moving parts and bags to carry. It would be way too easy to drop the AirPods, or lose them, or step on them. They're just not meant to stay in your ear like other earbuds are. 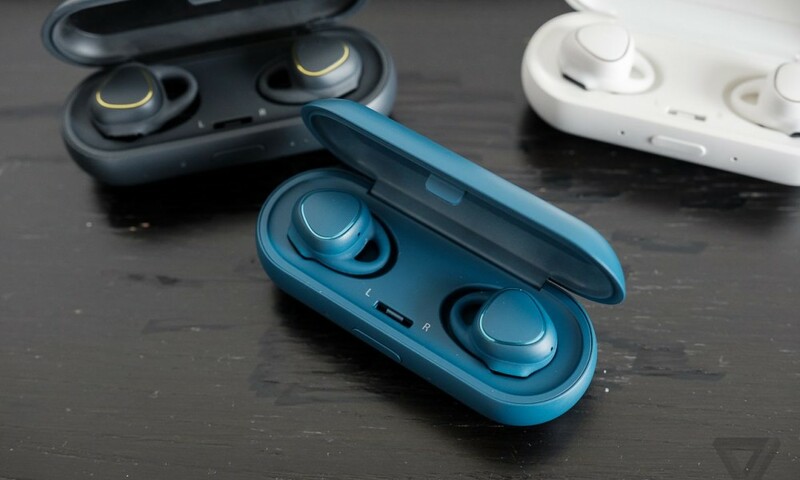 They're designed for convenience, including using only one AirPod at a time, putting them on and and taking them off with automatic pairing, power, and music, and very quick charging in its case. 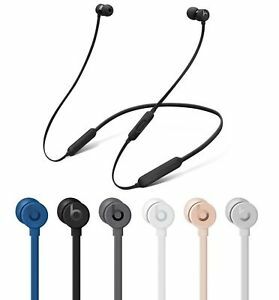 If you prefer earbuds that are connected to each other - so you can move freely without the fear of losing one or both - there are a ton of brands and models to choose from. But only the Beats brand has the W1 bluetooth chip that comes with the AirPods. This is the chip that enables effortless wireless pairing, with multiple phones and computers and tablets. We bought a pair of the BeatsX for this reason, and they're pretty good. Not earth shattering, and a bit expensive for what you get, but not bad. The nice thing is it can be charged with the same Lightning cable you use to charge your other Apple devices. In fact, maybe the best part of BeatsX is that they come with a tiny 6-inch Lightning cable that you might end up using for all your idevices. It's worth mentioning that we highly recommend using Comply memory foam tips with the BeatsX. They don't last forever, so you'll have to buy several pairs throughout the year, but they make the overall fit a world's better. Also they keep ear wax off the earbuds and off your hands and clothes. Try this variety pack so you can quickly hone in on the best fit for your ears. This is the budget pair of wireless earbuds, at least for normal people who aren't willing to shell out hundreds of dollars for a pair of disposable earbuds. Aukey is an Amazon brand, and this pair of bluetooth headphones offer the most punch for the money. Wirecutter also gave this pair their highest recommendation, after testing hundreds of wireless earbuds. They fit great (with these Comply tips), they stay snug even during vigorous exercise and running, their battery life is pretty good, and most of all, they sound damn good for the money. They come with 3 EQ settings, and for our buck, the Bass setting gives these earbuds more oomph than a pair of Beats. If you want to score these for cheap, check the Amazon listing from time to time. They can be had for the price of a restaurant hamburger. In summary, these are wonderful wireless earbuds, but without audio transparency, we don't see them being used on TV and video productions any time soon. The one exception are the AirPods. Lots of documentary shooters use the old wired EarPods for convenience and because they're cheap and readily available. But until the AirPods become more connected and harder to lose - and cheaper - we don't think they're going to be adopted by camera operators. But alas, the one thing holding back pretty much all new technology today: batteries. First, we’re going to need to figure out much better battery efficiency for wireless headphones to really take off. Hearing aids have had to deal with this crutch for years. So even though 3-4 hours of active listening time is pretty amazing for such a small computer in your ear, we’re going to need headphones to work a full day, so we can charge them overnight. Next to our smartphone, smartwatch, fitbit, and all the other battery powered tech that we’ve begun to rely on to get through our day. Find more wireless headphones and earbuds at B&H Photo Video and at Amazon.